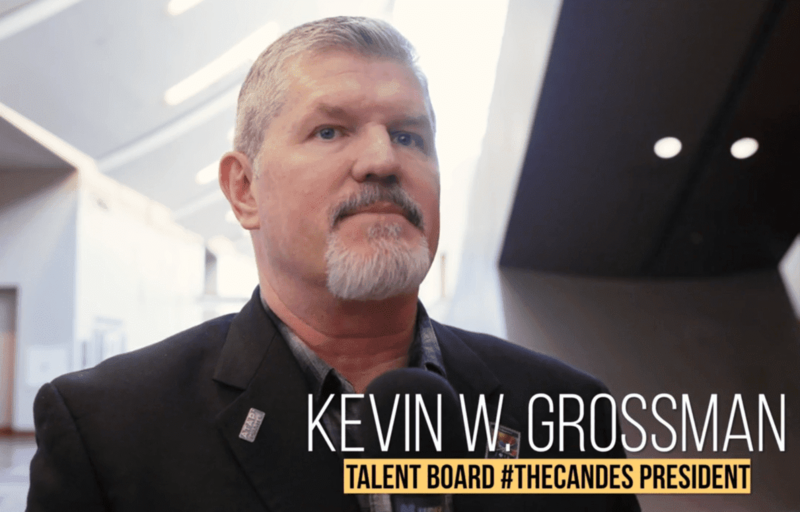 Kevin Grossman, Talent Board President of Global CandE Programs, talks about the negative impact that bad handling of recruiting can have on a company's image both in terms of the brand and as an employer. It can even lead to resentment among rejected candidates and this can lead to them advising others against your company. He goes on to explain how new technology can help with recruitment. Kevin Grossman: "As we’ve seen in the research that we do year after year, there is a definitive impact on your business and your brand based on how candidates, external and internal, are treated at your organization so, for example, 99 out of 100 people for any given job aren’t getting the job. They are not going to get it, and they are either getting rejected outright or they’re just not getting followed up with and they don’t know what happened after. Only one person’s getting hired, so how those 99 were treated, over time, aggregate and build up to potentially be some extreme candidate resentment, especially if they were treated poorly or not responded to or they never heard again from the employer, and that impacts whether or not a candidate’s going to apply again for that company, refer others to that company, and make purchases if it’s a consumer-based company. And we see that again, year after year, in our data and our research, so companies that are working to improve that experience, they’re seeing more candidates willing to increase the relationship, not say, “I don’t want to do business with your anymore”. So, there’s a definitive business impact on a business and their brand based on how candidates are treated. We work with employers, big and small, across the world and across industries and one of the biggest differentiators in improving candidate experience is communication and feedback from pre-application all the way to onboarding, so finally what really excites me now is there are a lot technologies that are helping improve and empower the human element of recruitment by filling gaps where there was no interaction or engagement before and I think that technologies are just going to continue to get more accurate and really empower the human part of the equation when it comes to recruitment. So you know, there will always be some displacement, technology will always drive some displacement in the industry. But for the most part, it’s really just again helping to fill gaps where they were in the process itself, the communication feedback loops, whether you’re giving feedback or asking for feedback from candidates, and it really helps to improve and free-up more time for the recruiting team and the talent acquisition professionals to focus on getting on the phone more, having live conversations with potential candidates, keeping them nurtured over time: if they’re not going to be hired now, maybe in 6, 9, 12 months they’re gonna be hired. That’s the technology. So I think it’s going to be more of an advance with some displacement but the “buts” aren’t taking over, no…"